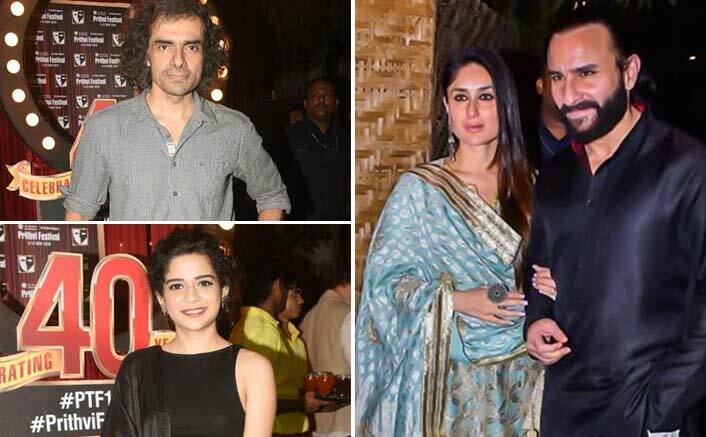 Home » Bollywood News » 40 Years Of Prithvi Theatre: Kareena Kapoor Khan, Mithila Palkar, Imtiaz Ali & Other Celebs Mark Their Presence! As Mumbai’s Mecca of performing arts Prithvi Theatre turned 40 years old, Bollywood’s famed Kapoor clan organised a grand celebration to commemorate the day. Shashi’s son Kunal Kapoor, who handles operations of Prithvi Theatre, hosted a special star-studded party here on Monday night along with his children Zahaan and Shaira Laura.